Russ was very professional in handling our property sale. He kept us informed, constantly, along the way and went well beyond what we expected from a real estate agent. Would love to work with him again. Anthony Davis would have to be the hardest working agent in the area! He really works hard for you regardless if you are buying or selling. Nearly 20 years ago we bought a house of Anthony. Nothing was an issue and his advice saved us money. A few years later he helped sell my Nana's house in Cronulla. While he did not sell the house himself, he did ring the agent every week to keep me informed with what was happening. He then sold my next door neighbours house and achieved a record for the street at the time. This was an amazing effort as there are a few homes in the street that are much nicer. Recently he sold Mums boyfriend, Matts home at the Anchorage and again got a great price! Recently Anthony younger brother started working with him, a true family business now. I believe they are great pair of agents, Anthony has the knowledge and Russell is the type of guy everyone loves. Russell has a motto of Sell with Russ with no fuss and provides a relaxed, stress free process. So if you are the type of person that does not really like Real Estate Agents then Russell is the agent for you. 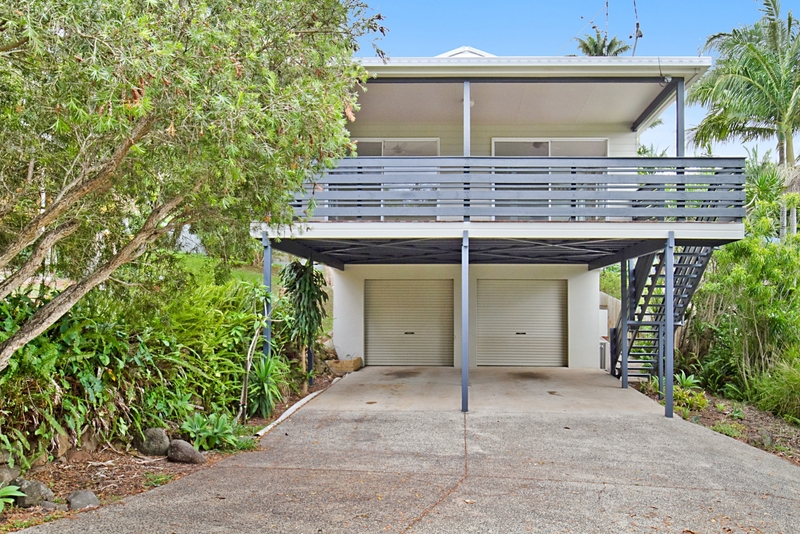 I am a developer and property investor of 30 years , 5 years ago built a single duplex in Tweed Heads . I first gave the property to a well know agent in Rainbow Bay and we had a few good years with the same tenant and everything went smoothly however when the tenant moved on ,then the issues started and I felt the property manager left a lot to be desired , I put up with it for some time as I am very busy with my work however eventually it had to do something and I did . After some research I decided to try Cooly / Tweed Realty and my property was given to Jamie and I would like to say she has been fantastic, very thorough and I would recommended her to others. Living in Western Australia it is very reassuring to have Jamie and Anthony as our property managers! Jamie Boylan who is a Property Manager with Cooly/Tweed Realty took on property management of my property mid tenancy of long term tenants. Jamie and realty owner Anthony Davis do great job ensuring effective communication between tenants and owners. After long term tenants left and work needed to be done to the house they recommended quality tradesmen and continued to ensure the best outcome for us whilst we renovated our property. On completion they have secured good tenants at a rental much more in line with the market. Living in Western Australia it is very reassuring to have Jamie and Anthony as our property managers and can highly recommend them to tenants and owners. I trust Jamie and Anthony (whom we brought the house of 10 years ago) due to their local knowledge and honest, no nonsense advice, and commitment to serve their customers consistently and effectively. I have recommended this firm to others including my personal friends. I have had two occasions to deal with Anthony Davis, the proprietor of this business. Anthony is very knowledgeable in the area we looked as he had resided in several properties there previously. Anthony's communication, feedback, suggestions and general knowledge, coupled with his integrity, stand out! Always interested in what matters to you. 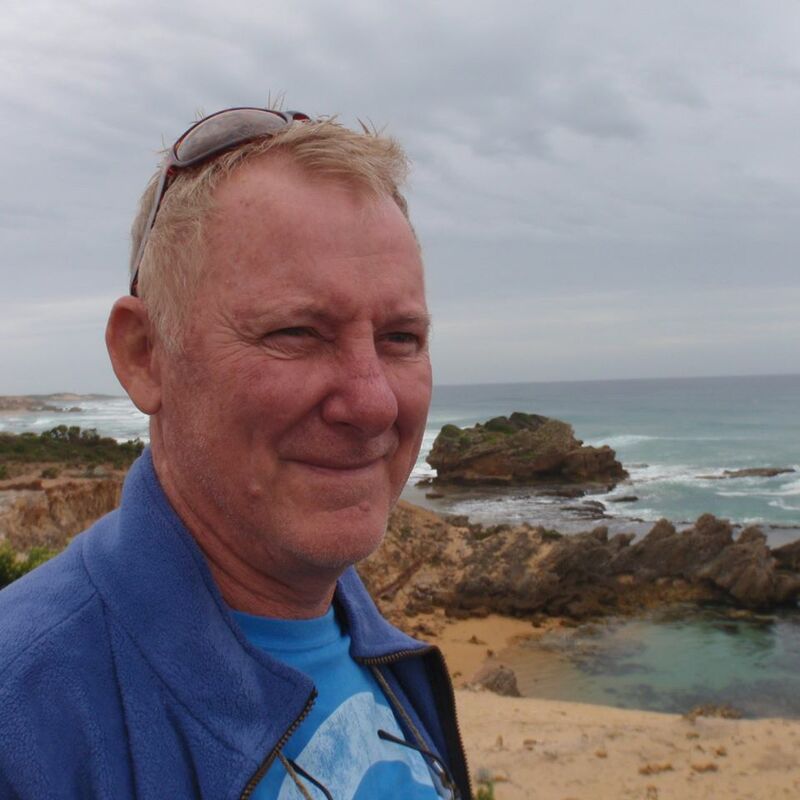 I have known Anthony Davis (owner of Coolangatta/Tweed Heads Realty) for twenty years. He's been here a long time and helped many people into a house because he's a very approachable person, always interested in what matters to you, and ready with advice to assist. He will have your interests at heart, and advise you accordingly. No matter whether it's about buying, selling, or investing, go to see Cooly/Tweed Realty. Highly satisfied with Cooly Tweed Realty! Anthony is by far one of the best Real Estate Agents I’ve ever dealt with. His friendly manor and local knowledge is second to none. His professionalism is on point and I can’t recommend him highly enough. If you’re looking to buy or sell in the area Anthony is the best person for the job. We've recommended him to everyone we know. Anthony's knowledgeable, professional and friendly manner make working with him a pleasure. We've recommended him to everyone we know. Thanks Anthony. Doing business for over a decade. I have had various sales and property managements handled by Anthony and his team for over a decade. I find him to be direct, trustworthy and a tireless minded man. I would have no hesitation to recommend him if your looking for an honest agent. Anthony and Jamie have managed my rental property for a long time now and have found them professional and have always found me good tenants . No hesitation in recommending their services. He has always made an awesome impression to my Conveyancing clients! Anthony from Cooly Tweed Realty is a friendly approachable and honest Real Estate Agent. I have known Anthony for many years and he is knowledgeable of the local area. He has always made an awesome impression to my Conveyancing clients, he has always gone the extra mile to help them. I highly recommend Anthony to help you with your next property sale or purchase in Queensland or NSW. Anthony has been most helpful! Anthony has been most helpful, though my partner and I haven't yet found our forever home. Anthony has been patient and understanding and calls us when he feels there is something close to what we are looking for. Thank you for constantly going above and beyond for us and keeping us updated with the market. Our first home buying experience was incredible thanks to Anthony and Jamie. They are so good at what they do but are also real, honest and genuine people. We cant thank them enough for helping us through this process! As an investor utilising the property management services, I would like to state how pleased I am with the level of service provided, the effort, the timeliness in addressing tasks from both my, and the tenants perspective. I would happily recommend their property management services to anyone in the local area. As I invest more I will continue to use their services, expertise and experience. We would highly recommend Jamie and the team at Coolangatta/Tweed Heads Realty for Property Management. We are new clients of Jamie Boylan, having purchased a beautiful home through Coolangatta/Tweed Heads Realty. After settlement we had a momentous task to prepare this home for rental and the guidance and assistance we received was invaluable. The rental process was very detailed and personable to ensure that excellent tenants were selected. Jamie is very approachable and devoted a lot of time and effort to achieve a win/win situation for all parties. 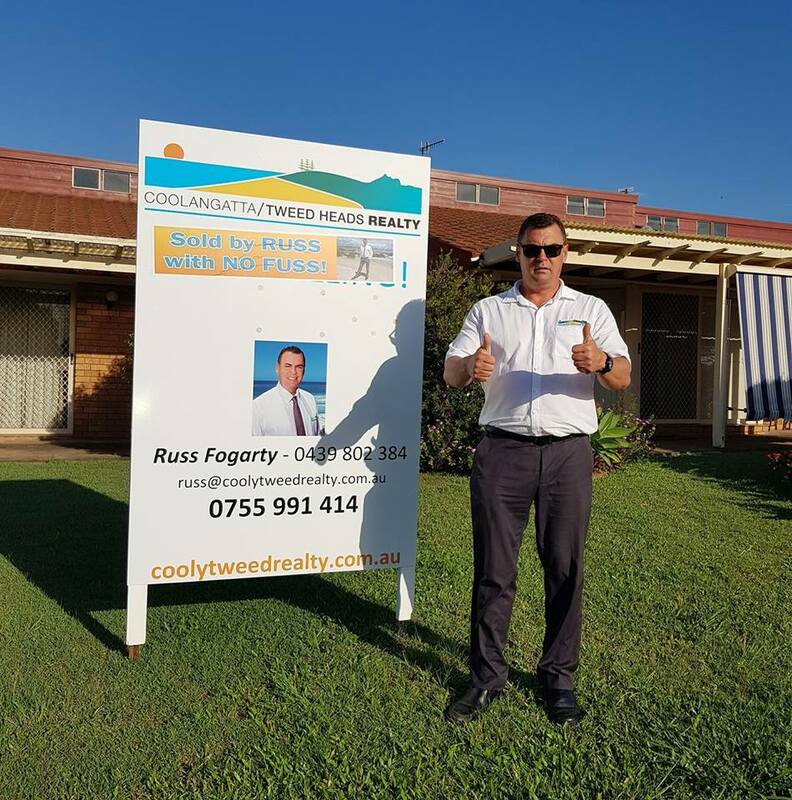 We now have the peace of mind that our property is in good hands and therefore we would highly recommend Jamie and the team at Coolangatta/Tweed Heads Realty for property management. My sister and I were extremely happy with the service Russell and Anthony provided and would highly recommend them. We chose Russell to sell our Fathers house at Banora Point as he is very expertise in this area and we needed a quick sale. After meeting Russell and his brother Anthony things were up and running in a matter of days and we had a contract a week later. Russell even helped us prepare the house for the Open by gurneying the courtyard which was above and beyond his duty. My sister and I were so happy as we were under a lot of stress to sell dads house to pay for his Nursing Home. Russell was always contactable by phone 7 days a week and always kept us up to date with the selling process and any potential buyers. Russell always has a smile on his face and goes out of his way to get things happening. Nothing was ever a problem and the whole process went smoothly with a great outcome. Purchasing an investment property through Anthony Davis was an enjoyable, profitable experience. He is a really likeable person and we love doing business with him and getting to know Anthony. I’d like to thank Russ Fogarty from Coolangatta/Tweed Heads Realty for delivering an exceptional result for us on the sale of our home. In fact this is the second time he has produced an outstanding price for us in the last 3 years! This was not going to be an easy sale due to the damage on the entry of our home. There were five properties on the market in our street and adjoining street that were on the market before us and are still on the market now and Russ sold our property to a cash buyer in two weeks! I’d like to recommend Russ to anyone looking for an agent who knows his stuff and backs his words up with actions! Russ informative and always had a smile on his face and even helped us prepare the gardens for photo’s by doing the hedges etc. I’d be happy to recommend Coolangatta Tweed Heads Realty to anyone looking for a top shelf agent. Thanks again Russ a great agent who is true to his word! Great communication, total honesty and great results every time! 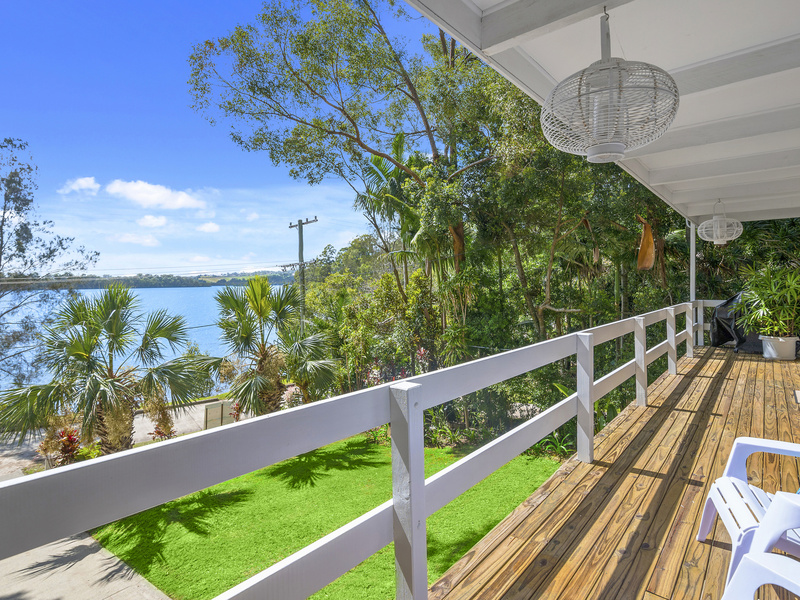 Anthony Davis has sold two properties the Tweed Heads Central Area, and currently a property in Iluka is for sale with him. Originally we were recommended by a close friend, who had bought and sold properties for him with great success. Real estate. Anthony took over the properties, open house, advertising, internet and signage, which was less costs than we had endured previously. We have a strong background in sales, and we appreciated his above average sales ability. Every week he communicates with you and is honest in all his dealings. My husband and I would recommend Anthony Davis as a realtor. "Honest, reliable and unrivalled product knowledge"
My mother Molly & I have known Anthony Davis for the past 16 years as both a resident of West Tweed Heads & as a Real Estate Agent. Anthony has unrivalled product knowledge of the Tweed region & demonstrates a high level of ethics & enthusiasm. We highly recommend Anthony as your estate agent in both selling & purchasing. He is both honest & reliable & has a passion for his profession. "Anthony Davis goes beyond "normal service"
I have known Anthony Davis, principal and owner of Coolangatta Tweed Realty for over a decade. During this time I have purchased and sold property with Anthony as my agent. Anthony goes beyond "normal service" to achieve the goal of successful property transactions. If he tells you he will do something you can bank on it. His manner and approach is courteous, polite and totally professional. We know that buying and selling can be very personal and Anthony quickly gauges just how you, the vendor or purchaser wants to receive feedback. There is only one agent on the Gold Coast, as far as I am concerned, that offers stability and action.....Anthony Davis. "Anthony always puts the interests of his real estate clients first"
"I have known Anthony Davis as a local Realtor for the past 20 years and have always found him to be honourable and ethical in his business dealings. When I bought my current home through Anthony, it was clear to me that he always puts the interest of his clients first, carefully researching their needs ensuring the best outcomes for them and their families. Anthony has an excellent knowledge of the local area and is always up to date on his advice regarding market trends. So, if you are looking to sell your property, or need any property advice, I couldn't recommend Anthony Davis highly enough! If you need any further information, please don't hesitate to give me a call"
"Anthony achieved a better price than I had originally put on the properties"
"I have known Anthony Davis since 2002 when he sold properties for me in Inlet Drive, Tweed Heads West. In a rising market, he achieved a better price than I had originally put on the properties. I am now proposing to sell further properties in Tweed Heads South. Anthony's input into the scope and style of renovations required, to best present the properties to the market, has been invaluable, with sensible, practical suggestions. In my dealings with Anthony I have found him to be straightforward and honest and he has aligned himself with my interests, in achieving the best possible outcomes. I would recommend anyone selling property to consider using Anthony's experience and expertise. "Anthony Davis turned down our listing.... for which we are eternally grateful!" "Anthony, we would hereby like to thank you so much for the right advice". "In May 2001 my wife Dorothea and I (my first name is Ole), bought a home in the leafy street of Anconia Avenue, Tweed Heads West, through Anthony Davis. We love our home and have had many fine years here, but a few years ago certain health and maintenance issues reared their head and we were forced to seriously consider selling our beloved home. Anthony had kept in contact over the years and one day I bumped into him at the local shopping centre. When he asked how we were I mentioned to him that we would call him soon to look at selling and I remember he asked me "why?" He carefully listened to the reasons we had and suggested to me that rather than selling and going into a possibly expensive unit and body corporate situation in a high density unit block, that we look at staying and could do so, as long as we got some help. He explained it may be worthwhile to get someone to help with the pool, garden and cleaning if necessary and that it may not be much more expensive than other options, the main thing being that we would not have to move in the short term. We want to thank you Anthony as you did not seek the quick sale and chase a commission. You did the right thing by us and gave us some options that enabled us to stay in our home to this present day. As an Agent and a person we would recommend you to anyone wanting sincere and honest advice when it comes to buying or selling. Well done Anthony, you have our vote of confidence!" "We bought through Anthony, then he managed our property for us perfectly, for 6 years". "We have known Anthony Davis for approximately 13 years. We purchased our townhouse at 'Seagulls Shores' Gollan Drive, Tweed Heads West through Anthony. As we were not ready to reside at this address because we were still living in Sydney we had Anthony organise rental for our townhouse for some 6 years. We have kept in touch with Anthony over the years, as we have had friends wanting to move to the Gold Coast and we would highly recommend him in finding them a suitable place. He is passionate in his approach to selling a property, honest and positive in everything he does and we would highly recommend him to anyone with anyone who needs a great real estate agent". "When I first met Anthony I decided he was the right person to sell my home. Anthony was honest and told it how it was, keeping me in the "loop”, being very attentive and forthright. I always felt I could trust his advice. As I had not sold in over two decades it was important to choose an agent who knows the selling process inside and out. Anthony has this expertise and took the time to explain things to me step by step, ensuring I knew what was happening up until the SOLD sign and he has also explained to me what will happen on settlement day. I would not hesitate in recommending Anthony to anyone. I am sure Anthony would do the right thing by you, as he has by me. We bought our first home through Anthony – an agent you can really trust! We purchased our first home together in Tweed Heads West using Anthony Davis. Having met him a couple of years earlier, when he advertised the home of our dreams late in 2014, we didn't hesitate to give him a call, even though we thought the property may have been above our price range, but knew Anthony was approachable. We made an offer on the property the day after we inspected - luckily the vendor accepted our offer and we now live happily in that home, so I am very glad I made the call to Anthony that day! Communication is what we liked most about the service he offered – we were kept up to date and weren't left "hanging". Anthony was a pleasure to deal with, nothing was too much trouble and the whole experience was very professional and friendly. It's the little things that make the difference, right down to the contact card Anthony gave us, with local services and handyman he personally recommended. We wouldn't hesitate to use Anthony again for our real estate needs and we recommend him to all our friends and family. 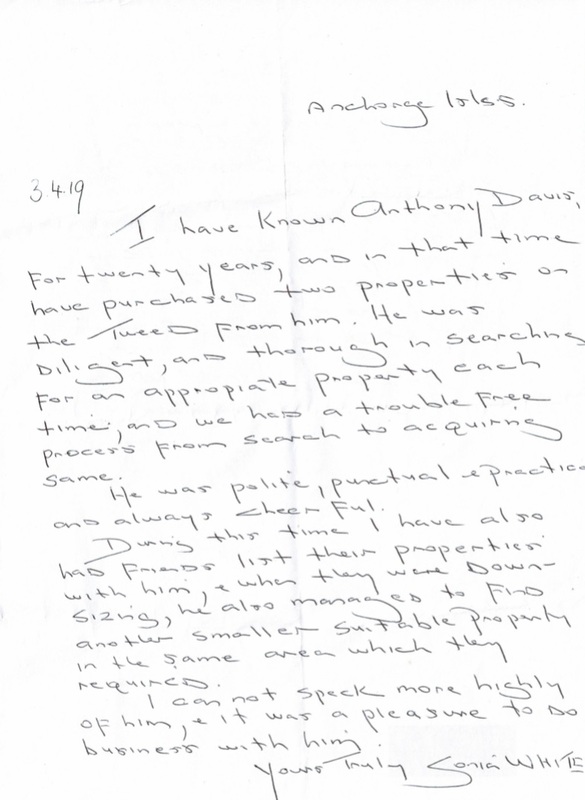 Anthony keeps in contact with us both, even 18 months after settlement – he's somebody we trust and that's not a usual quality you'd expect from an agent. "Very happy we bought through Anthony Davis"
My wife and I are very happy with the property, it seemed to come along at just the right time. I found Anthony to be very helpful, a good bloke, down to earth and one of the bits that I really liked was that he was not pushy and he let me decide on my purchase. Buying or selling real estate, we highly recommend Anthony Davis, Principal of Coolangatta Tweed heads Realty". "Personal service, great local knowledge, attention to detail and a great outcome!" ‘My husband and I expected the choosing of an agent would be an important but difficult decision to make in the selling of our waterfront home. Many agents approached us but then a few things influenced us to go with Anthony Davis, instead of marketing it ourselves as planned. He had lived in the area for many years, so he knew it extremely well. He was going to put the hard yards in himself and would not be relying on colleagues to handle our sale and his strategy of marketing initially to his immediate clientele database was sensible and appealing. But possibly the tipping of the sales in Anthony’s favour was his mention of the importance of showing an open house at its best during high tide times, which he went out of his way to do. A little thing maybe, but to us, showed attention to detail. We felt very comfortable with Anthony, pleased with the outcome, and would not hesitate to recommend him to any other future seller/buyer. "An agent you can totally trust – just with a handshake!" When I first met Anthony Davis in 2015, he mentioned he was selling his block of land at Banora Point and offered to walk me onto the block after his open home he was conducting. From the start Anthony offered a more personal service and once my wife and I saw the block, we decided to buy it. Anthony and I agreed on a price and shook hands. Almost immediately after accepting our offer, Anthony received better offers. But as ethics, morals and a handshake mean everything to him, he stuck with our offer and we settled on the land. So, if you are looking for a real estate agent you can totally trust, we couldn't recommend Anthony Davis highly enough. "Anthony Davis is NOT just an agent ……"
Anthony Davis has been a part of our life since 1991. Anthony was fairly new to the area when we started looking for our 1st home and showed us only the best in our price range, we ended up purchasing from another agent, as the home was listed as exclusive to another agency, but Anthony provided invaluable help with the legalities and how to check on building/structure and area market. After 26 happy years in this home we are extremely grateful for the expertise and knowledge of the real estate industry that Anthony possesses and continues to share, always willing to answer questions and guide us with decisions. Anthony Davis is NOT just an agent, he ingratiates himself into your life and becomes a friend. We are lucky to have met Anthony and have him in our lives, we wish him GREAT success in his business and can only let you know that he is honest and down to earth, as well as being just a great bloke. Anthony brought extensive local knowledge, honesty and integrity. Not only did he find a buyer AT A HIGHER PRICE THAN THE OTHER AGENCIES HAD THOUGHT WAS EVEN POSSIBLE, but he went above and beyond to help us with everything. Before I knew it, the house was sold and at a great price within weeks of listing for sale! Little things count, Anthony went so far above and beyond the call of a normal real estate with things like using his hoses and watering spouts to keep the lawns green (I was out of town), recommended local tradies to cost efficiently get the house ready for sale in an expedient time frame and even paid for a remote control for the buyer for the air-conditioner. This not only saved me paying for it but it was difficult being out of town and trying to organise everything. Bottom line is Anthony absorbed a lot of the stress associated with selling-a true professional. I would recommend Anthony Davis to anybody buying or selling property in the Tweed Heads / Coolangatta area. They say that results speak a million words, and we could not be happier with the result of the sale of our unit at Palm Beach through Anthony in 2017. Our unit was placed on the market on the 7th February 2017. On the 24th April 2017, the unit was sold and the money was in our account. That was an outstanding result as that time period also covered the 30-day contract period, so basically the unit was sold in 7 weeks. Further to this, and most importantly, Anthony's negotiating strength and marketing ideas resulting in us netting a figure over $40,000 more than a previous agency had said we would receive for it. What a bonus for us that we decided to go with Anthony. I would have no hesitation in recommending Anthony Davis from Coolangatta/ Tweed Realty if you are looking for a person who cares about getting you the desired result, and every cent possible, in a short time period. Please feel free to contact me should you require any further information about Anthony’s selling skills on 0419 218 616. Always honest, friendly and goes above and beyond for the seller at all times. Anthony sold my townhouse 14 years ago and our house just this week. I find Anthony very easy to deal with. Always honest, friendly and goes above and beyond for the seller at all times. His negotiating strength and marketing ideas effectively resulted in having multiple offers within weeks of being on the market and a cash sale on auction day under the hammer. He worked hard to get the very best price possible for us. Anthony really listens and takes most of the stress of selling away by taking it on himself ( sorry Anthony ). I really appreciated that and know his intention was to make it easier for us and he absolutely did that. He went out of his way to take extra time to give trustworthy advice and to keep us well informed at all times. If I ever sold in the area again Anthony would be my ONLY choice. Thanks very much for your efforts in helping us prepare, market, negotiate and ultimately sell our unit. We first became acquainted after my mother moved into an assisted living facility nearby and this became a more commercially focused rental property, during the selection process for you and your agency as the rental agent for this property. My instinct after speaking with you on the telephone was that you were very knowledgeable in the CoolangattaTweed market, pragmatic and most of all, honest. Over the 2 years you were managing the rental, I am pleased to say this proved true and we successfully achieved good rental returns and good tenant management, including a change of tenant with minimal lost rental weeks and improved returns. Due to my relocation overseas and other changes in my personal circumstances, it made sense to sell this unit and, based on our rental success, I again turned to you for advice and recommendations on value and marketing approaches. While I’m aware I can be quietly demanding and assertive, you were confident with your advice to ensure I listened whilst also listening to my views and talked things through to ensure we were both on the same page with regard to objectives, process and outcomes. With the advent of internet marketing and other technology, in my view, the days of real estate being dominated by the big agents are gone. Sellers should seek to find experienced, competent agents rather than agencies and those with enough time and attention to truly focus on the best outcome for the seller. I am pleased to confirm your marketing strategy was well conceived and well executed, followed by a positive negotiation to ensure the final selling price was at the top end of the range we both expected, while still representing good value to the buyer. I have no hesitation in recommending you to any reasonable and engaged seller wishing to sell their property in the CoolangattaTweed market and am happy for any prospective clients to call me with any questions pertaining to this 0421 434 903. My decision to sell through Anthony, was based on the fact i purchased my home from him some 17 years ago. Thanks for helping me with the quick sale of my property. Selling to meet a contract deadline on a property interstate that I had purchased was a tall order, but you got us there. My decision to use your company when I decided to sell was based on the fact that you sold me that property when you worked for LJHookers Coolangatta, that was 17 years ago, and apart from the fact that you'd kept in contact over that period, your depth of experience in this area was a priority. All the best with Cooly/Tweed Realty! Our experience finding a home was initially very challenging. 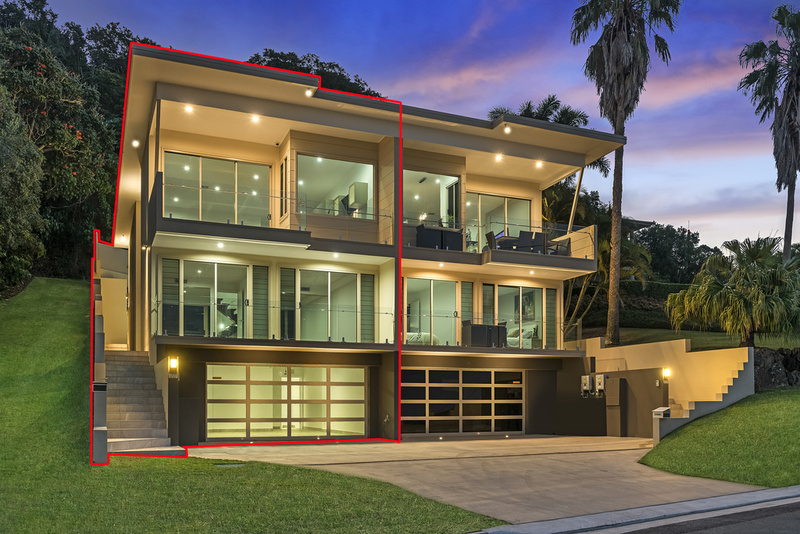 We were met with many obstacles and challenges until we came across Anthony and his team at Coolangatta/Tweed Heads Realty. Anthony was refreshingly honest and candid about the properties we viewed and helped us evaluate the appropriateness of the properties. He gave us his time freely and without obligation. He answered all our questions quickly and truthfully and explained to us the process of buying our first home. He had all the answers, and no question was ever a bother to him. He linked us to reputable and reliable services to assist in the transition into home ownership. The whole experience was enhanced because of his guidance and honesty. At no time did we feel pressured to move forward until we were ready. Thanks to him we finally have our family home. Thank you, Coolangatta/Tweed Heads Realty!